The three most annoying things patients say about dental insurance …and how to respond. Dental insurance will play a factor in how you will pay for what you want. Dental insurance should never dictate what you want. Recently, I took a pole among our clients and asked what were some of the most challenging and annoying things patients say about dental insurance. I compiled the responses and among the answers I read a lot of frustration. I chose the top three and hope to provide some constructive ways to handle these statements in the future. Let’s get something out of the way right up front. 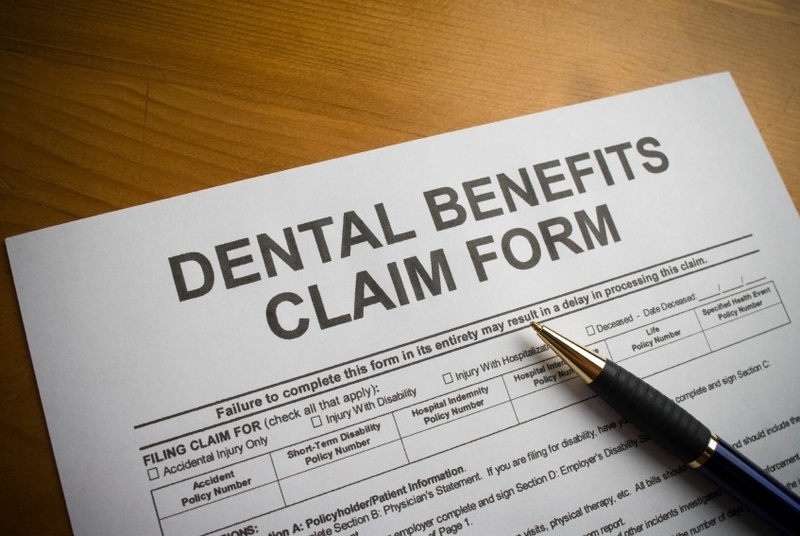 Most patients don’t know what their dental benefits cover. They don’t understand how dental insurance works. For the most part, patients aren’t informed and let’s face it, who wants to take time to read the benefits manual? Just thinking about it makes me want to stick forks in my eyes. So what do they do? They look to us. Why is it that they think we would know? We’ve taught them this behavior. Because we allocate our precious manpower and resources to make calls on their behalf. Because we investigate their benefits. Because we communicate with the insurance provider for pre-authorization. Because WE read the terms of their policy, we have, in essence, assumed responsibility for their insurance so they don’t have to! We, and I’m talking dentists as a whole, have created our own nightmare. On the other hand, the insurance companies work very hard to create the perception in the patients’ mind that they are a vigilant benefactor who stands beside them and protects them from you, the greedy dentist. Because patients don’t understand the nature of dental insurance and the fact that the goal of the insurance provider is to NOT pay, we become the casualty. And as a result, when insurance benefits pay for only a small amount of the procedure or deny the claim, or refuse to cover any costs, the practice becomes the bad guy. The patient takes it out on the messenger. We must learn to remove ourselves from being the “middleman”. So how do you reverse this destructive trend? 1) The insurance company’s goal is to make money and KEEP that money. Our goal is to have the health of our patients influence our recommendations and that is not one the insurance companies share. We have never heard this as part of the insurance company’s mission. 2) Dental insurance will play a factor in how you will pay for what you want. Dental insurance should never dictate what you want. #1 I have XYZ – Do you take my insurance? There should be nothing annoying about this question but when you get this call, chances are you automatically form an opinion and label the caller. They are just trying to take advantage of their benefits. Insurance is like a coupon and they are trying to find out if you take their coupon. If you do, the next thing you need to find out is if they understand the limitations of that coupon. “Yes we do. Tell me, what is it you have been led to believe about your coverage?”, would be a great way to find out how much they know. Then you are able to start increasing their involvement from the very first call. #2 Oh, my insurance will pay for everything. #3 I don’t want it if my insurance won’t pay for it. I hope this has made you think about how you might be contributing to the insurance mindset and how to change it. Use these tools to shift the influence of power and get your patients thinking differently about their benefits. What annoying comments or questions about insurance are you hearing? The following statements were among some of the other top contenders. Knowing what you know now, how might you address these comments in the future? Use this as a team discussion and send me your responses. Just submit my insurance and I’ll pay the difference when it comes back. I’ll decide after you do the pre-determination. My insurance company says your too expensive. I have to see another dentist because you aren’t in network.